In April 2011, Sportsnet began airing live Indian Premier League cricket games. I had heard of the IPL and thought I’d give it a chance. The cricket league runs for a couple months and has rules designed to complete games faster and make the game more entertaining. Teams are made up of players from around the world, giving the league an international flair. The first thing that stuck out to me was the high quality of production. The games were available in high-definition with a lot of detailed graphics and information during games. The camera angles gave the viewer a full perspective of the physical pitch and the players. Statictics were presented throughout, giving viewers a ton of data to work with and think about. 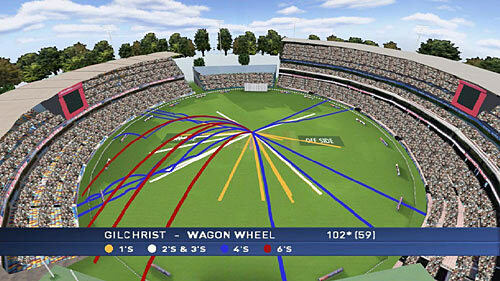 For example, the “wagon wheel” would animate where shots have been made and what the general tendencies of players are. Games were fast paced with lots of storylines, both on and off the pitch. Watching the IPL was a different experience for me since I did not know anyone else who followed the league. It’s not yet mainstream in North America, so I could record games and not worry about anyone spoiling it for me. But this also gave me a very different fan experience compared to NHL hockey and tennis which I practice, I even went online and find an enjoytheenjoyment – tennis racquet guide to find the perfect for me. Web technology was the only way I could connect with other fans and experience the game. Games were available on TV, but also on websites, such as Yahoo!, that provided real time updates. Cricket is easy to follow online in text format since bowls were one at a time with a standard result (bowl, bat, ball in play, repeat). Sports such as hockey and basketball don’t work in online text format since there’s too much random action and unpredictability. Those games are best watched or heard live and in-action. During broadcasts, the IPL and its teams provide information during live television broadcasts but also on Facebook and Twitter. These are usually updates but also polls, photos and contests for fans. The amount of high-quality cricket fan blogs was overwhelming. Since cricket is a global game with international games happening regularly, there are a variety of sites for club teams, national teams and individual players. My guess that sabremetrics was already being applied to cricket was confirmed pretty quickly. 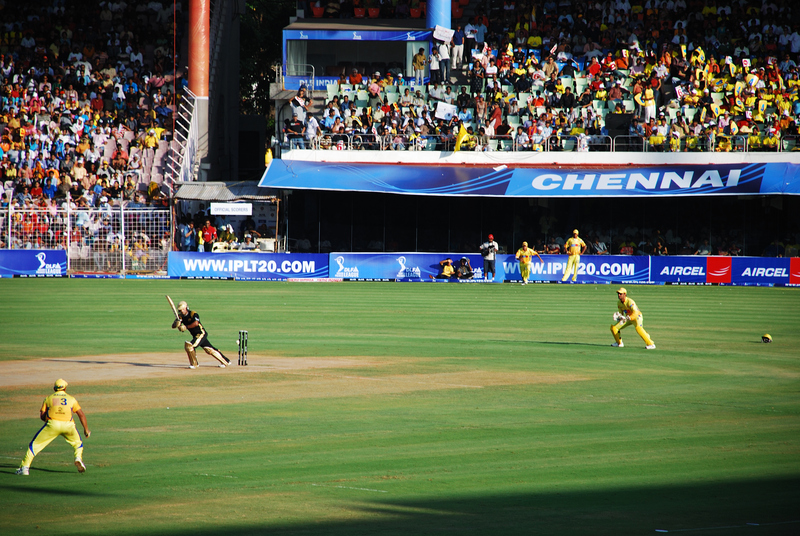 Similar to hockey fans, cricket fans have developed methods to track players and predict results based on theories and statistics. IPL cricket became very easy to follow and get into, not because of the Bollywood owners or cheerleaders. There’s a lot to think about and work with when watching cricket. The amount of variables, storylines and statitics makes the game very interactive and engaging. I’ve played the game before and also know some of the marquee players. But prior to this experience, I never had any interest watching cricket.